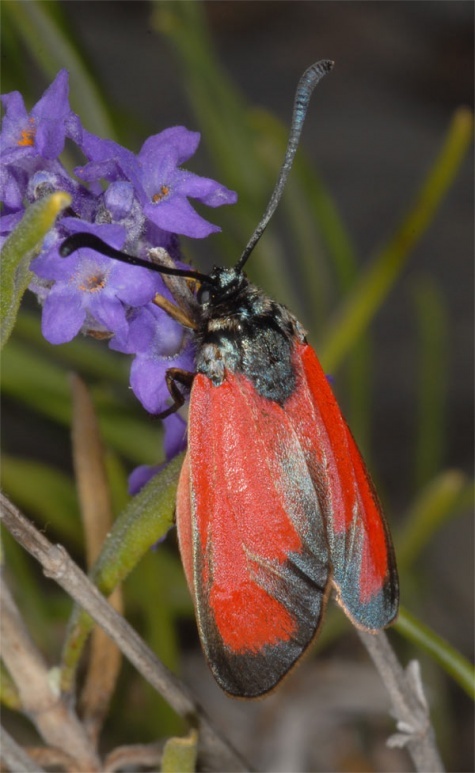 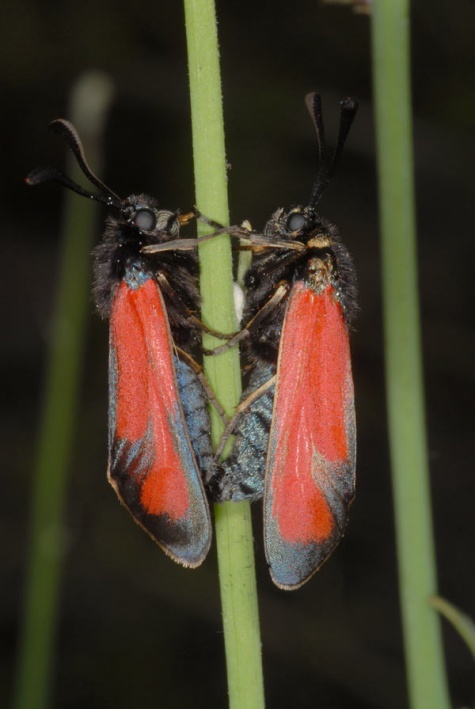 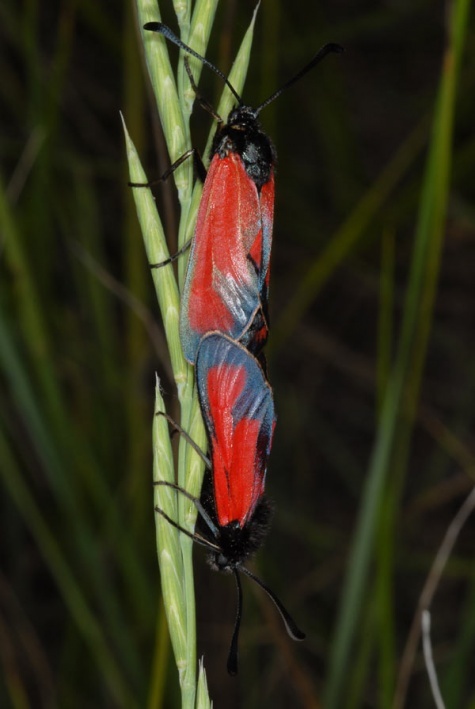 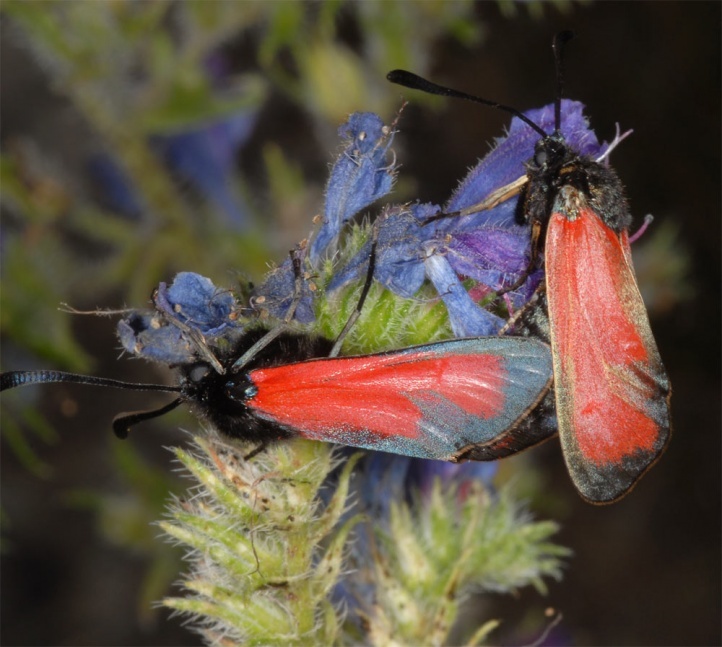 Zygaena erythrus inhabits dry, nutrient-poor grasslands, steppes and broad verges in light oak forests. 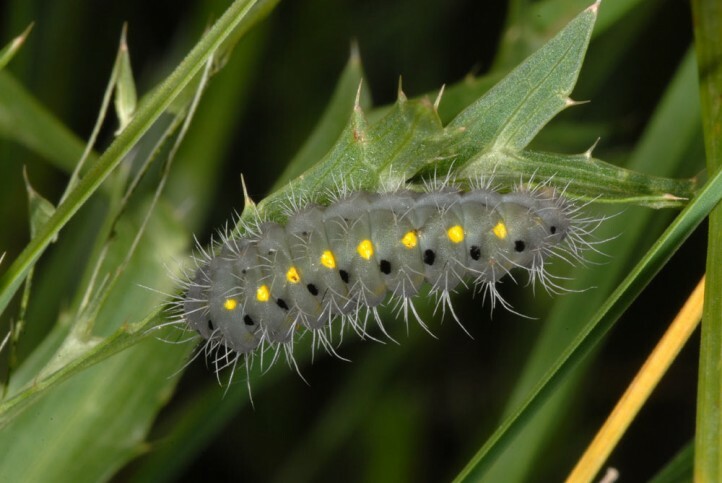 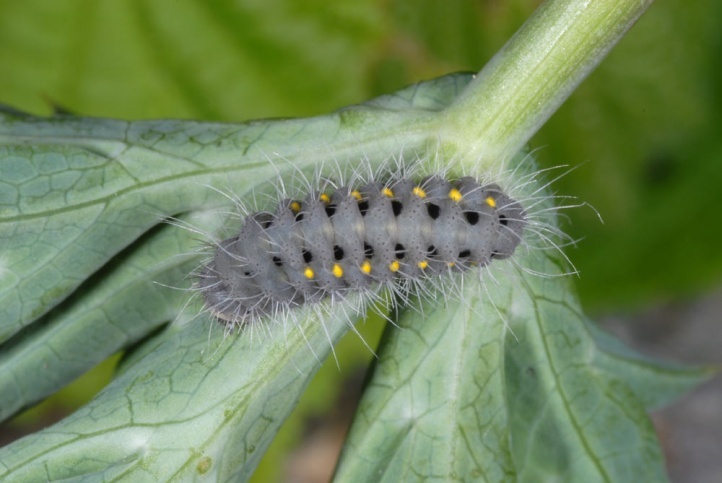 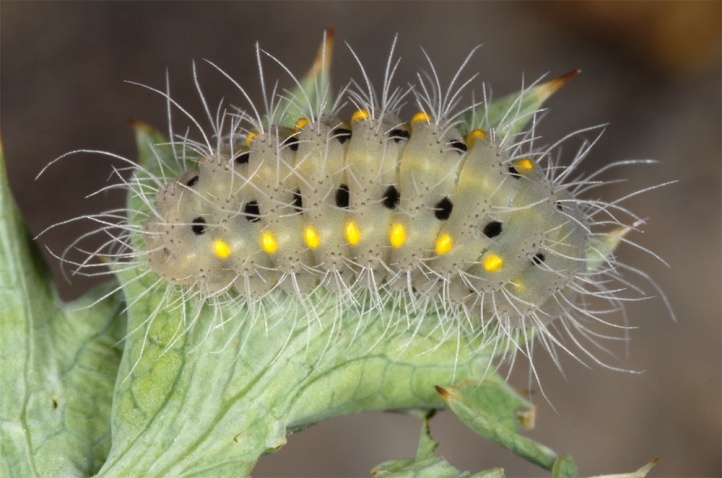 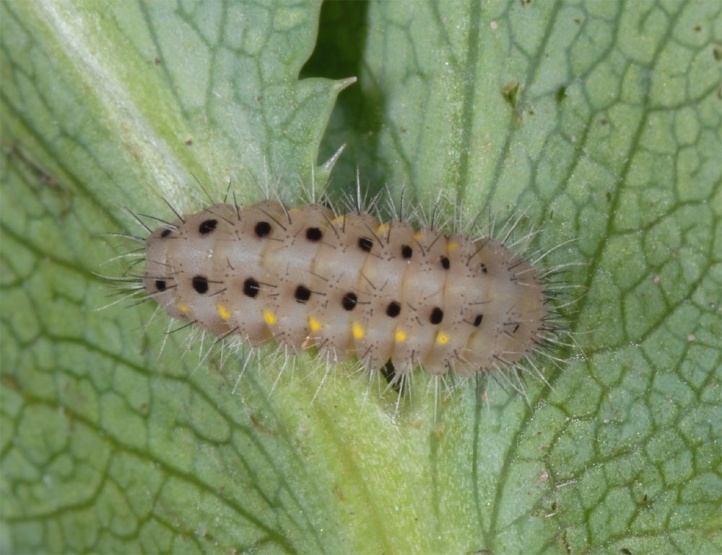 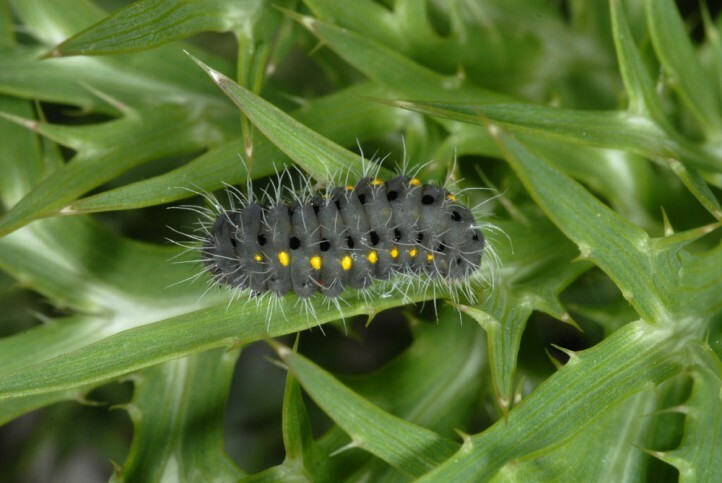 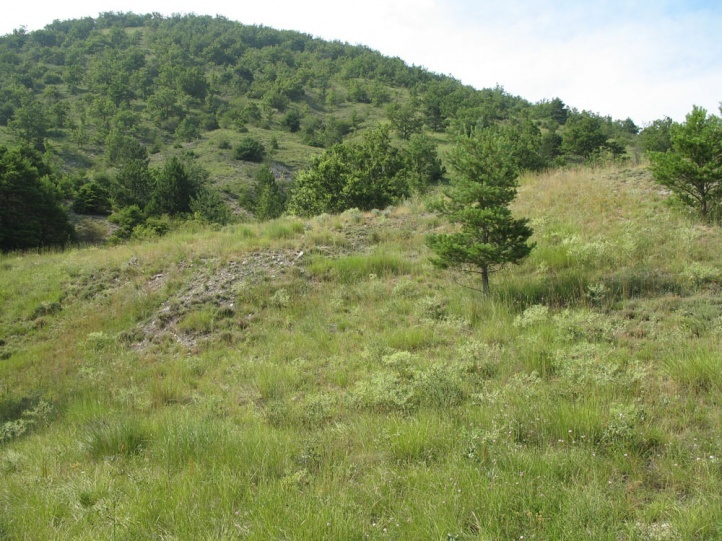 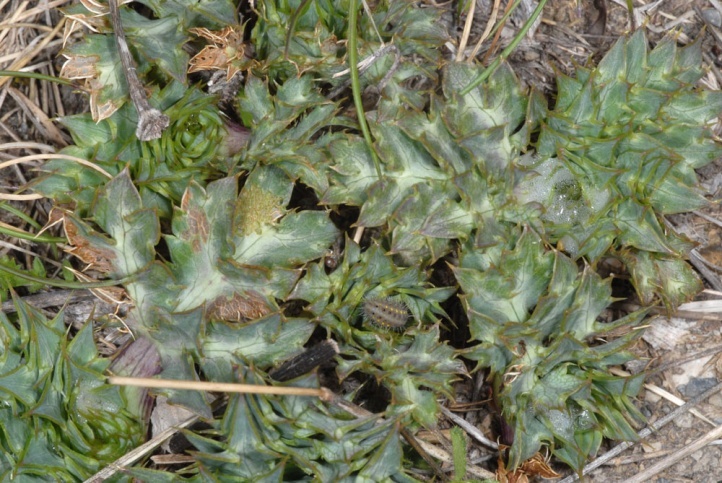 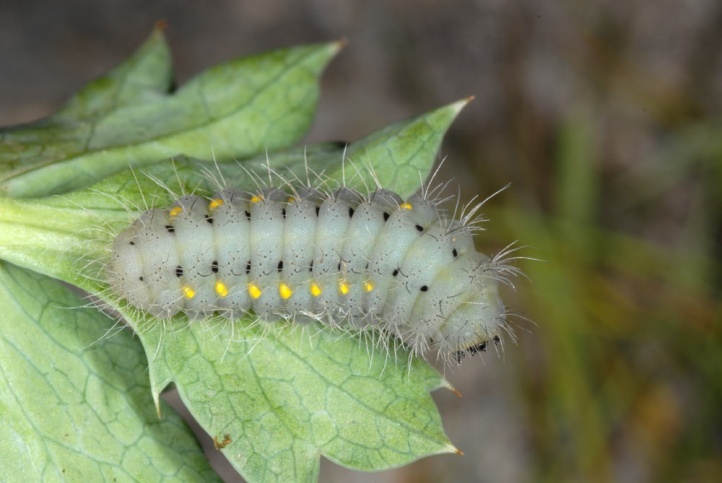 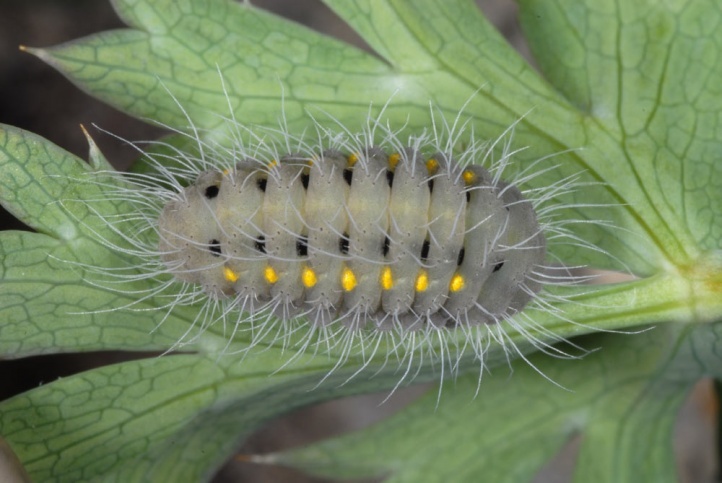 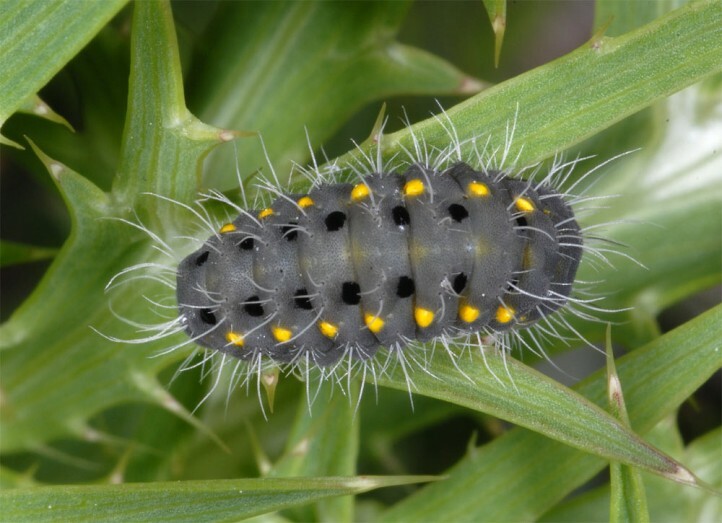 I observed the mature caterpillar in May in the Susa Valley (Cottian Alps) in Stipa-steppe grasslands at 500m above sea level as well as in Bromus erectus grasslands in 1100m above sea level. 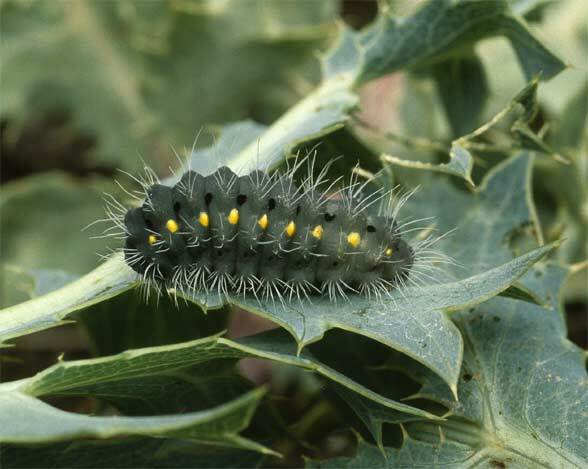 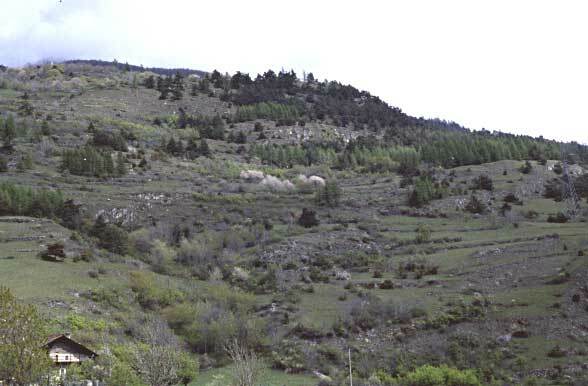 In the high-Provence near Sisteron caterpillars had just moulted out of diapause in mid-April 2010. 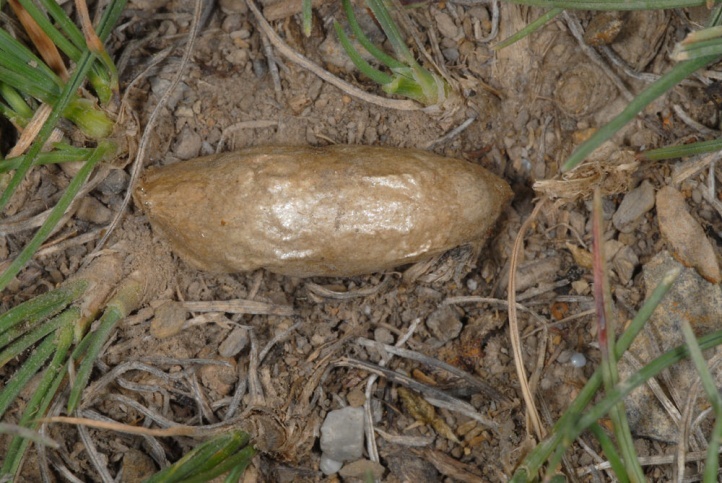 The cocoons are constructed on the ground in the litter layer between moss, lichens and plant parts. 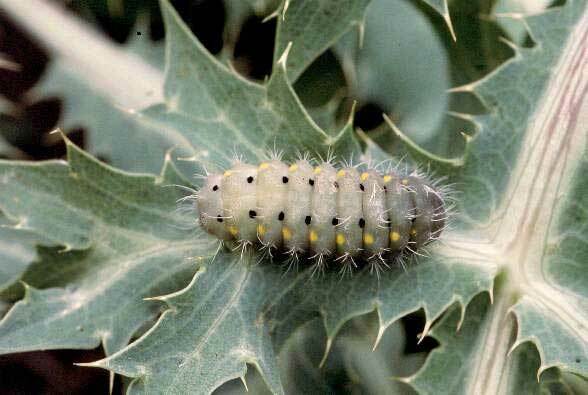 I found such a cocoon in July 2010 along with larvae of Eurranthis plummistaria under a low growing shrub of Dorycnium pentaphyllum. 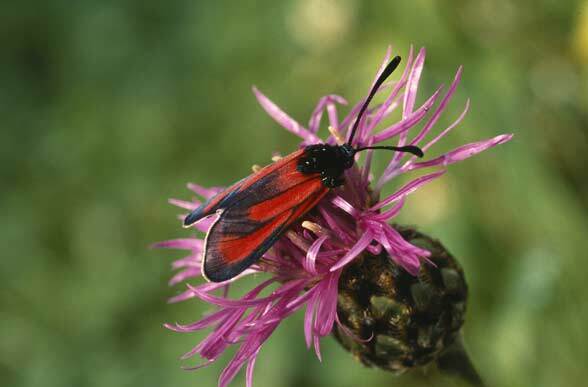 The adults fly from late June to early or mid-August. 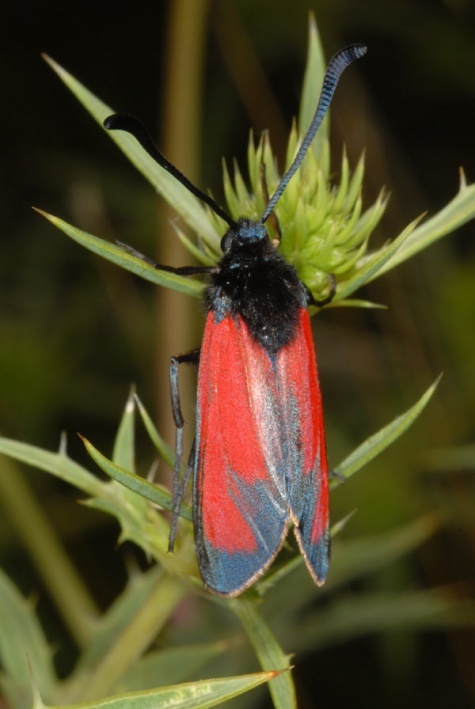 Zygaena erythrus locally shares the habitat with Zygaena sarpedon in the small common area of distribution, so in the Provence and in Susa Valley. 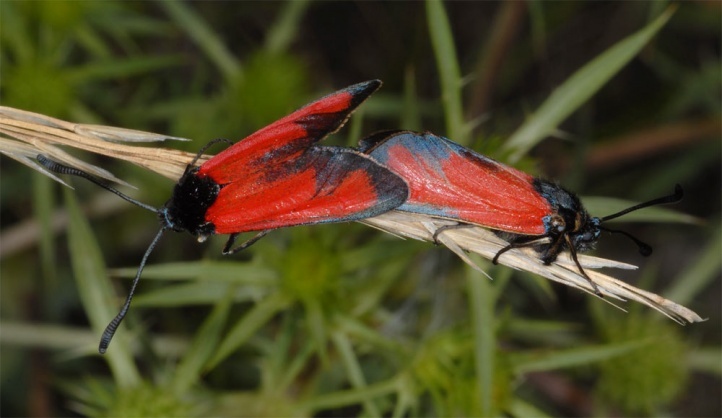 Zygaena erythrus is endangered in many places due to agricultural intensification, overbuilding and reforestation, but is often still one of the more common species in its range. 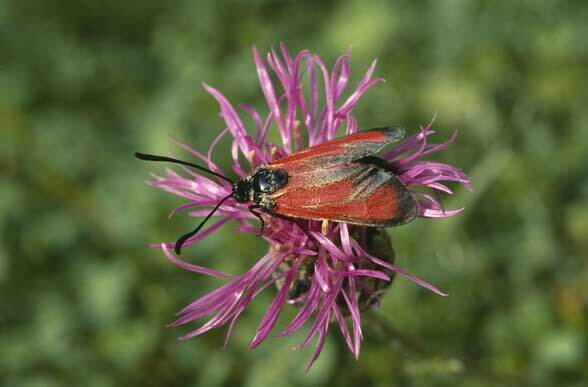 Zygaena erythrus is as Adriato-Mediterranean species particularly distributed in Italy (in the north only extremely local: Garda and Susa). 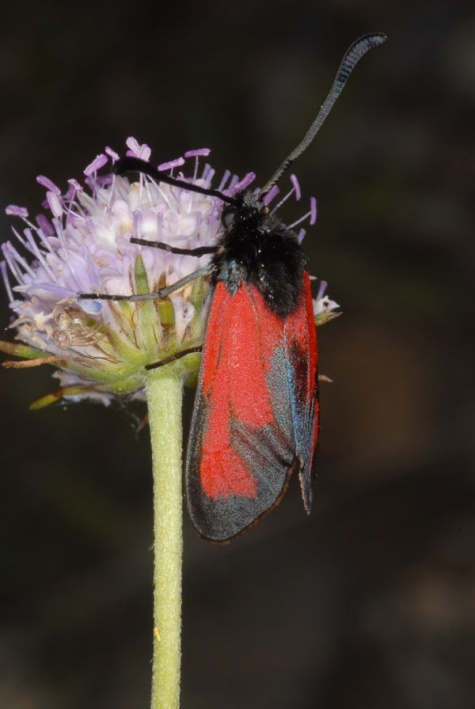 It also penetrates far into the south of France (Provence, Southwest Alps).